Xenia is a cool and fun choice for a girl. It has that bold letter X at the beginning with a lovely and girlish -ia ending. I have seen it pronounced ZEEN-ee-uh and SEN-ya. Originally, this name comes from the ancient Greek Ξενια. It means "hospitality" in the language. However, as a word, it is more in depth than that. When translated, xenia actually refers to the Greek concept of the generosity and courtesy shown to guests of the household. This may have also included gift giving beyond the basic shelter, protection and food. It comes from the word xenos which is used in various forms throughout Greek mythology to explain a person who extends this hospitality to a stranger. Zeus was sometimes called Zeus Xenios because of his role as protector of travelers. Xenia was the name of a Roman Saint from the 5th-century. There was also a Greek Saint Xenia who was considered a great-martyr in 318. And also the Saint Blessed Xenia of St. Petersburg in the 1700s, a Russian Saint. In addition to the saints, there are several other well-known Xenias from around the world that you can read about here. There are also plenty of things and places given the name. 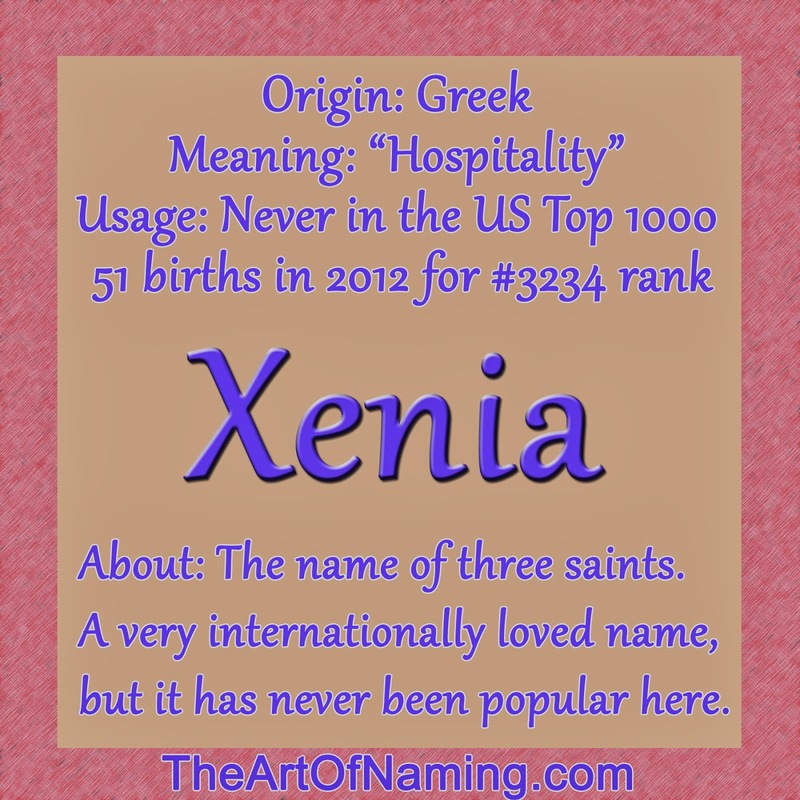 As a baby name, Xenia has received near-regular usage since 1912, but it first appeared in the US in 1894 for 3 brief years and only a handful of births. This name has never been popular, nor has it even reached the Top 1000 chart. Xenia had 71 births in 1996 for a ranking of #1992. The only year with more births was 2011 with 73 births. 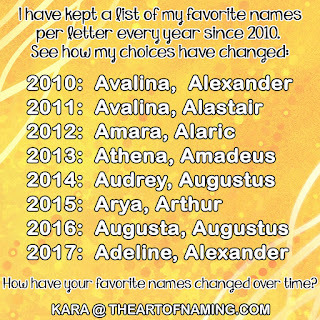 Because of the increased variety of names these days, it only ranked in at #2499 that year. 2012 saw 51 births and a rank of #3234 in the US. It also recently ranked at #85 in Catalonia. Click here to view the name's popularity history. Based on this data, this name will most likely never soar to the top in the US but that makes it a great, under-the-radar choice! It has plenty of history to make it familiar so I would recommend this rare gem to modern parents today!